In 2000, the Sri Lankan born, London bred Mathangi "Maya" Arulpragasam was encouraged, by electro-clash icon Peaches, to make music on a Roland MC-505 Groovebox. Maya pulled lyrics from journals she had written during a 4 month trip to the Caribbean island of St Vincent. In 2005, she released Arular, selling 130,000 copies in the U.S. and reaching mainstream charts in Europe and the U.K. It was considered as much a political statement as a musical one. M.I.A. is renowned for her presentation of layered textures of instruments, electronics and unusual sound samples that shaped her acclaimed and distinctive avant-garde music style. From the beginning her music was always an explosion of color, light, and heat as she fearlessly incorporates a range of political, social, philosophical and cultural references into her music, combining her Sri Lankan roots with her urban present to create music that defies existing pop music conventions. 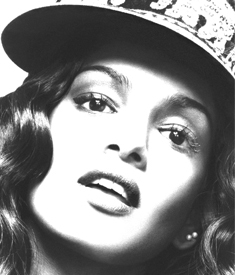 Named one of the ten defining artists of the 2000’s decade by Rolling Stone and one of the world’s 100 most influential people by Time magazine, M.I.A. has been nominated for an Academy Award and two Grammys (“Paper Planes” and “Swagga Like Us”).